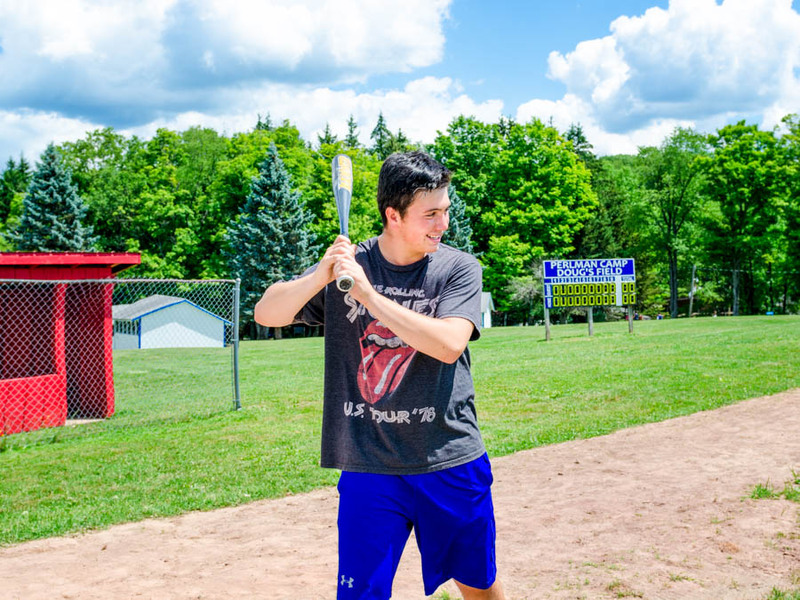 The Perlman Camp Teen Leadership Program strives to build, strengthen and develop our participants, both as individuals and as a team, with the skills, knowledge and experiences necessary to prepare them to become active Jewish leaders at camp and in their communities at large. The two-year Teen Leadership Program consists of both the Pioneer (entering 11th grade) and Staff-in-Training (entering 12th grade) summers. What are the goals of the Pioneer Program? What is it like to live in Pioneer Village? In the Village, Pioneers will live in platform tents with 3-4 others. There are separate boys and girls sides of the Village, both including a private shower house and latrines. Pioneers will spend the first week of camp building the Village, including setting up their tents, painting and laying gravel down the path to camp, and building their stove (and experiencing Mud Day at camp from the other side!). Once the stove has been built, Pioneers will start cooking their own meals three times a day (all dietary needs will be considered). Each day, Pioneers will be assigned to different chores in the Village, including cooking, collecting wood, and cleaning. The group will also choose, design, and execute a Pioneer project, which should have a positive impact on camp as a whole. What is the daily schedule for the Pioneers? Each day, the Pioneers will be assigned to tasks and chores related to the managing of the Village. After breakfast and chores are completed, the group will participate in a rotation of activities. These activities will include working on the Pioneer project, planning evening programs, and preparing for the trip to Israel. Most afternoons the Pioneers will have sessions led by their staff devoted to leadership training and Jewish identity building. 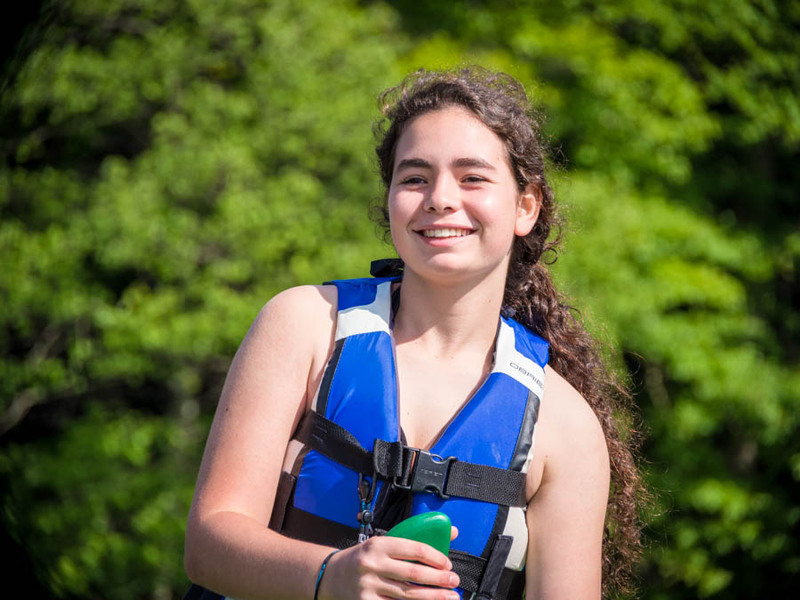 Pioneers will also spend some time on camp, experiencing all of their favorite camp activities including the ropes course, arts and crafts, and swimming in the lake or pool. In the evenings, Pioneers will attend many of the all-camp programs, and will spend other nights enjoying programs planned by their peers for the group. Every night in Pioneer Village closes with a campfire, and a chance for the group to reflect on their shared experiences. The Pioneers will spend 4 weeks at camp living in the Village, and 3 weeks traveling to Poland and Israel. In Poland, the Pioneers will learn about Jewish life in Eastern Europe before World War II before visiting concentration camps and seeing first-hand many of the sites they have learned about all through school. Israel is an important part of our camp’s mission. Our campers grow up at camp participating in Israel Day and learning from their Israeli counselors. As they grow older the experience changes from eating pita and listening to Israeli music at camp, to learning about the political issues and discussing the struggle for peace in the Middle East. Studies have consistently shown that a high-school-age trip to Israel serves as one of the single most powerful experience in the development of a teen’s Jewish identity. Jewish young adults are facing challenging questions on their campuses in regards to Israel, and many of them are unprepared to explain and defend Israeli policies or history. Travel to Israel gives teens a powerfully positive emotional experience, one that becomes a part of their identity as Jews and can help them to make Jewish choices when they move out of the family home. We strongly believe that the value of a peer trip to Israel cannot be outweighed. The Pioneer program is geared around the building of community and the shared group experience, which is why the Israel trip is such a valuable part of the program. Our campers’ safety is of the utmost importance to us, both in camp and on our trips. Our Israel experience adheres to Israel’s Ministry of Education security policies regarding youth and student travel, and our group’s itinerary will be approved prior-to and during the trip on a daily basis. A licensed medic/guard and a professional Israeli guide, in addition to our Pioneer Director and two Perlman Camp counselors will accompany our group. Our program itinerary does not include travel to or through any Palestinian controlled areas of the West Bank, Gaza, or East Jerusalem. We also avoid travel in unsecured public areas, and always travel on our own private coach buses. Parents will be able to reach the Perlman Camp Director at any time regarding questions or concerns about the program, and participants will have the opportunity to rent cellular phones for use on the trip which may be used to call home. If you have any further questions related to safety and security of the trip, please contact our office. Parents should register their child for camp through the Camper Application no later than November 1st. After your application has been received, you will receive an email from us with the link for the camper to fill out your Pioneer Application and schedule your interview. After all interviews have taken place (typically in December), you will be notified of whether you have been accepted into the Pioneer program. Space for this program is limited. What are the goals of the Staff-in-Training Program? The Staff-in-Training (SIT) Program is the second year of the Perlman Camp Teen Leadership Program. Providing a leadership training experience, not only for future camp counselors, but also for future leaders at school, in extracurricular activities, throughout the college years and beyond. Teaching transferable skills that will benefit the participant both in and out of the camp environment. Helping ease the transition from camper to counselor, preparing the participant for increased responsibility, and to become a confident and caring Jewish role model. Giving the participant a new perspective on the camp program as it applies to the bigger picture of camp. What is the structure of the SIT Program? The SIT Program involves a variety of different experiences, each of which gives participants a new perspective on the camp program. Sessions will range from focusing on child development to our skill-based hobby program. While the first week of the program is focused on the group – including an overnight camping and rafting trip, an out-of-camp community service project, and leadership training sessions; starting in week two, the SITs jump in to assisting with hobbies and shadowing bunks. At the start of 2nd Session, participants will move into bunks full-time and directly assist the co-counselors with the campers. This hands-on experience will allow for further development of skills, and ensure that SITs have the tools to become successful staff members at Perlman. Becoming a Jewish role model is also an important aspect of our program. SITs will learn about the field of experiential Jewish education, and gain knowledge that will be valuable to them both at camp and in their future. Shouldn’t I just get a summer internship? Will this look good on a college application? What are the skills I will learn as an SIT that will be relevant whether or not I plan to return to camp as a counselor? Constant Communication: The program will stretch your communication and observation skills through group discussions, learning to work in partnership with specialists and counselors, and gaining techniques to be effective in speaking to children. Testing Ground for Leadership Development: Try out your leadership instincts outside of an academic or organized sports environment by acting as a role model, taking charge of challenging situations, and helping to lead camp programs and activities. Meaningful Problem Solving and Decision Making: Collaborate in problem solving on matters that impact other people and the camp as a whole. Experience Conflict from All Sides: Resolve conflicts from three perspectives: receiving, confronting, and mediating. 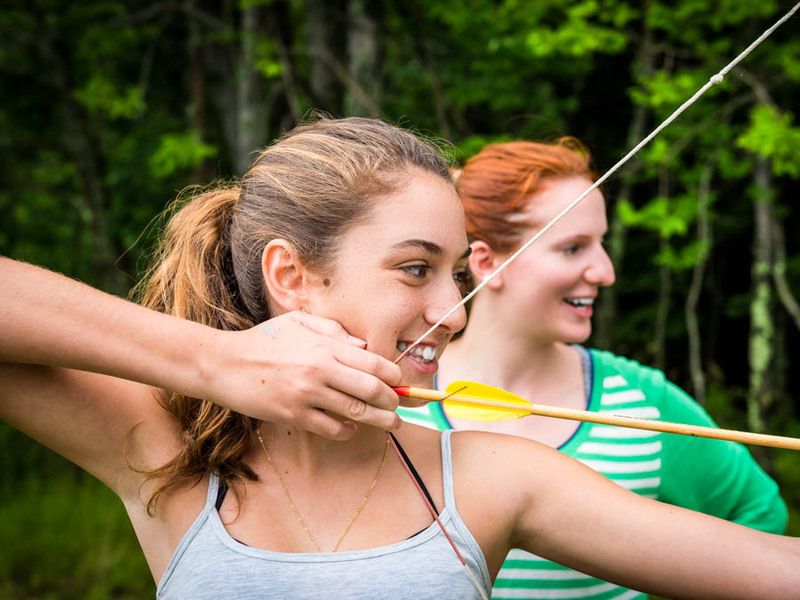 One of the best life and work skills you can learn from camp! Listening To and Learning From Feedback: Experience (maybe for the first time), a Performance Evaluation Process. The cost of this program is only a third of a typical summer at Perlman. The fees for this program are reduced significantly because of the value that the SITs add to the camp program. 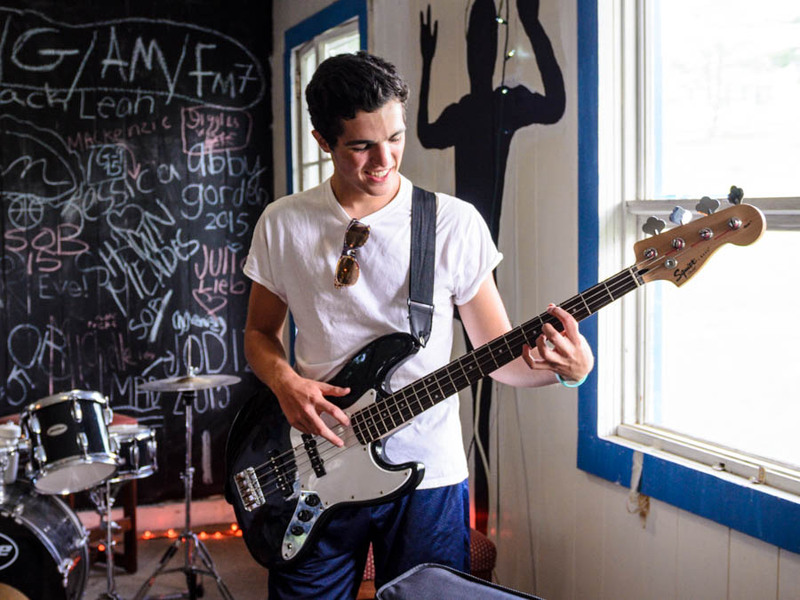 In addition to all of the typical camp experiences, the participants will go on a camping trip, travel to do community service projects in nearby communities (for which they can earn valuable service hours), and take a college tour of Syracuse University. There are no additional costs associated with these opportunities. Parents should register their child for camp through the Camper Application no later than November 1st. After your application has been received, you will receive an email from us with the link for the camper to fill out your SIT Application and schedule your interview. After all interviews have taken place (typically in December), you will be notified of whether you have been accepted into the SIT program. Space for this program is limited.